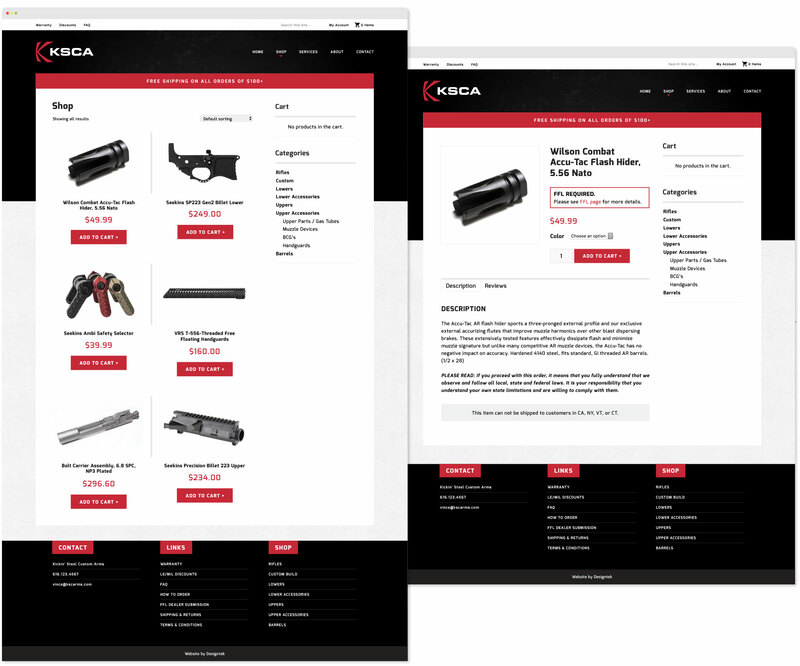 Kickin’ Steel Custom Arms LLC (KSCA) is a small, custom gunsmithing shop from Michigan that has grown to become a trusted and respected manufacturer of high-quality firearms. They approached us needing a brand refresh and a complete e-commerce solution. We began by refreshing their pre-existing logo to give it a stronger presence. We modified the “K” graphic to represent the penetrating power of a bullet, chose an eye-catching red and black color scheme, and used the KSCA acronym for a simpler, more memorable look. 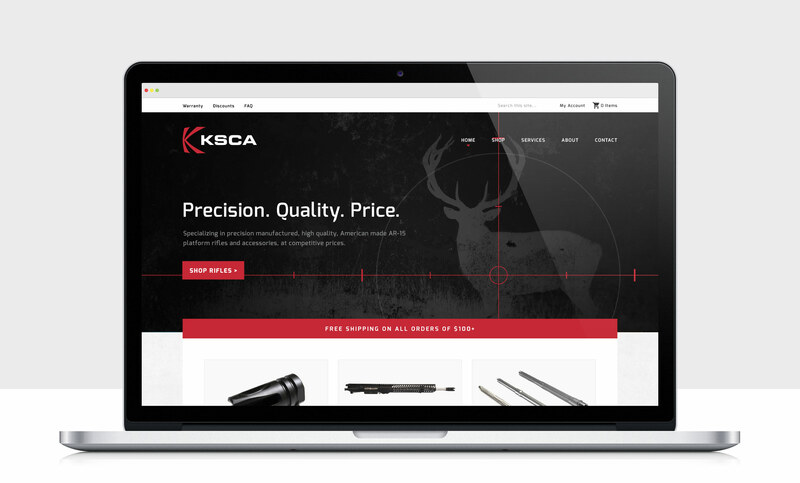 Next we worked with KSCA to understand their unique ordering process and converted this into a website that serves their needs and adheres to their brand guidelines. This project included a custom Genesis child theme, full WooCommerce integration, and a Product Builder to allow customers to customize their order.